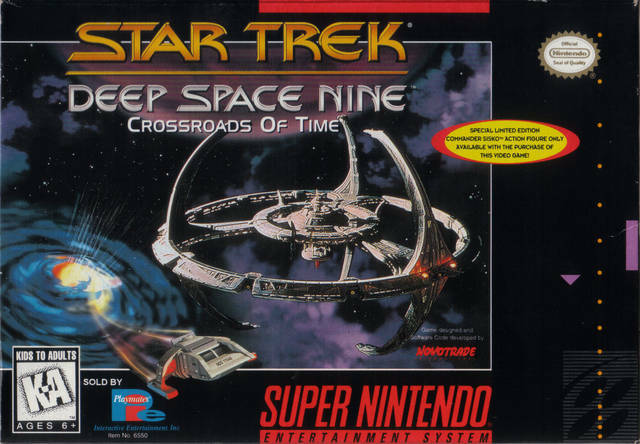 Star Trek: Deep Space Nine Crossroads of Time for Super Nintendo enables you to be Commander Sisko, the officer in charge of the Deep Space Nine space station, and you're in for a rough ride. Several mysterious events have triggered panic and disruption in the everyday routine of all those aboard the station, and it's your job to figure out what's going on and put a stop to it. You'll interact with numerous characters from the show as you tackle challenging puzzles that hold the key to solving the mystery. For 1 player.